Restoration of degraded ecosystems requires identification of effective actions that promote reestablishment of key processes, functions and habitats while at the same time sustaining the human communities which depend on the surrounding lands. Undertaking ecosystem restoration involves answering integral questions such as what interacting stressors are most disrupting natural biophysical processes, what restoration approaches should be employed, and where and how should those approaches be phased and implemented? 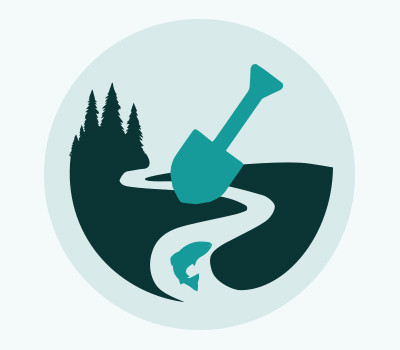 ESSA has a long history of developing and facilitating collaborative restoration efforts, and designing decision support tools to inform ecosystem restoration planning. Where appropriate our approach capitalizes on the benefits of embedding restoration planning within a rigorous Adaptive Management framework and mindset. ESSA facilitators work with multi-tiered governance structures, stakeholder and technical working groups to foster highly collaborative efforts, employing ecosystem modelling, structured decision making and decision support tools to provide insight into potential outcomes under a variety of restoration scenarios. Employing such techniques, we are able to inform restoration plan development, reduce uncertainties in potential outcomes, and ensure limited resources are applied effectively. ESSA has also developed a reputation as leaders in developing robust monitoring and evaluation programs that highlight which parts of the restoration plan produce the most desirable outcomes and where and when adjustment is required. Our team has unmatched experience developing and implementing adaptive ecosystem restoration plans for aquatic resources in multiple locations such as the Klamath River Basin, Trinity River, Dry Creek, the Russian River, Clear Creek and the Sacramento River in California, the Missouri River Basin, the Middle Rio Grande in New Mexico, Columbia River, as well as the Okanagan Basin, Kitimat Valley and Elk Valley Water Quality Plan in British Columbia. We have also provided expert ecosystem restoration advice for Platte River Recovery Implementation Program in Nebraska, Wyoming and Colorado, Puget Sound Nearshore Ecosystem Restoration Project, the Comprehensive Everglades Restoration Program in Florida, and the Louisiana Coastal Protection and Restoration Authority Master Plan, as part of an Adaptive Management Panel. We have also successfully applied decision analysis and decision support tools to recovery planning, AM, and real-time decision-making in many of these same locations. Tailoring data collection and assessment methodologies that are realistic for each valued ecosystem component and building on past methods to maintain a long time series and detect changes. assisting with the development of effective governance structures.